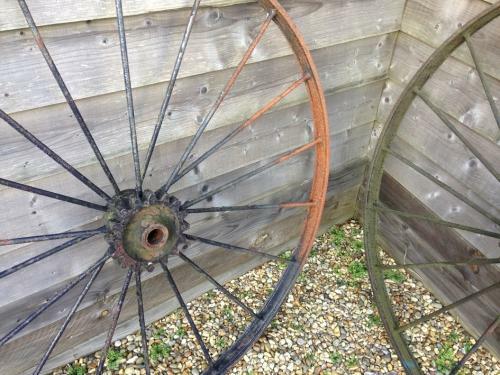 Pair of original cast iron wheels from an old norfolk Hay rake. Each wheel is in good condition with a central cog. Iron wheels are much more suited to have outside as garden features as the wooden wheels rot too quickly. £168 the pair.